Last-mile delivery, or the transport of parcels from a hub to its final destination, is going through some growing pains. The process seems simple enough on a surface level: a courier drops off a package, and a recipient picks it up. However, challenges are arising because package delivery volume is swelling at an alarming rate. That’s where package lockers come in. 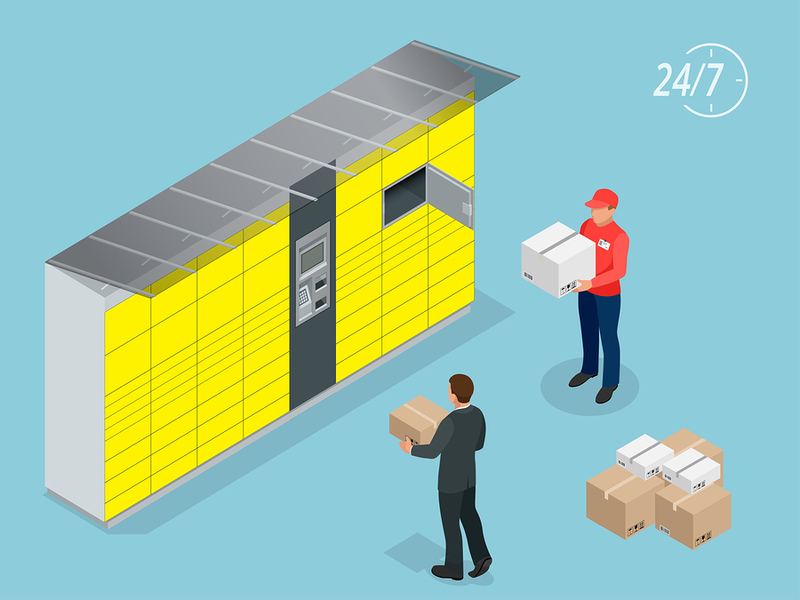 Smart lockers, parcel lockers, package lockers — whatever you choose to call them — are a secure, easy-to-use, cost-effective option for automatically facilitating package deliveries. The last-mile problem isn’t surprising given the staggering e-commerce growth over the past several years. As such, package locker software and hardware developers all over the world have closely followed the curve. 2009: Estonia-based company SmartPOST started developing “automated parcel machine networks” in 2007. After a couple of years, select shopping malls in Estonia received the new technology. 2011: Amazon introduced package lockers, installing units in limited metro areas like San Francisco, Seattle, New York, Washington DC, and London. 2012: Australia Post unveiled their parcel locker solution as a response to residents worrying about “posties” setting packages out in the open. At first, the goal of package lockers strongly reflected Australia Post’s mission: to offer residents an alternative place to pick up deliveries, easing the troubled minds of people who couldn’t be home to answer the door. However, as times change, so are package locker systems. Package lockers are getting smarter and more robust, proving to be a viable last-mile solution not just for residents, but property managers, developers, and even retailers who are all feeling the pressure of the digital age. Couriers, recipients, and everyone in between will find that package lockers are extremely easy to use. The user interface differs between smart locker manufacturers, but the general idea remains the same. To drop off a package in a locker, all a courier needs is a PIN or QR code for access, which they can get from the building’s manager or package locker manufacturer. After they gain access to the system, usually via a touchscreen interface attached to the locker bank, they select which size locker they need. If they’re delivering to a residential building, they may also have the option to choose a recipient’s name from a database list. The locker pops open, the courier places the package in, closes the door, and that’s that! No more searching for apartment doors, hunting down front desk staff, or leaving packages out in the open. Picking up packages might be even easier than dropping them off. The recipient will receive a notification via email, text, or an app immediately after a courier delivers their parcel. All the recipient needs to do is go to the locker, punch in their personalized code, and the door will pop open. Not all lockers are created equal. In fact, manufacturers offer lockers in different shapes and sizes explicitly built for all sorts of deliveries. Here are just some examples of what couriers can deliver to a package locker. We’ll start with the obvious: the online order. Whether a pair of earbuds or a bulk supply of paper towels are expected to come through the mail, there’s a locker that will fit it. Plus, people can also facilitate returns right through the locker using a standard return shipping label. Picking up dry cleaning isn’t anyone’s favorite task, so delivery is a natural choice for some. However, it’s easy for laundry delivery to end up on the floor behind a desk somewhere. That’s why some package locker manufacturers offer tall, narrow lockers that are perfect for hanging laundry. That way, recipients can pick up their little black dress or interview suit knowing it’ll be wrinkle-free and ready to wear. The meal kit industry is expected to rise to $11.6 billion by 2022, and online grocery shopping is projected to reach a whopping $30 billion by 2021. With numbers like that, property managers can’t ignore the fact that perishables will be coming through the door more frequently. And if tenants aren’t around to pick them up right away, front desk staff can be posed with some (smelly) challenges. Refrigerated lockers ensure food stays fresh (and lobbies remain odor-free). Perhaps the most obvious application of package lockers is multifamily buildings. Property managers love using package lockers because they don’t have to spend hours handling packages and following up on abandoned deliveries. Tenants like to use them, too. With package lockers, residents don’t have to worry about packages waiting outside, in a common area, or even right outside their door. Plus, residents can access packages 24/7, a huge plus for buildings with limited desk staff. Read about Smiota’s PoD installation at 2Hopkins here. From care packages to pounds of books and dorm room essentials, students receive a lot of packages when they’re living on campus. As such, it’s not uncommon for student staff to become swamped with deliveries on a daily basis, which leaves little time to focus on other tasks. University residence halls and student housing complexes with package lockers save staff a lot of time, give residents the chance to access packages whenever they need, and also reap the benefits of having a high-tech amenity. Read about how UNLV was able to give student staff an immediate raise after installing package lockers. Click and collect, or “buy online, pick up in store,” is a retail trend that’s taken the online shopping world by storm. Customers can order items and pick them up the same day, and when retailers offer package lockers to facilitate the transaction, things go even smoother. Sales associates can fulfill orders as time allows, and shoppers can pick up and return items without standing in a busy customer service line. Between office supply deliveries and time-sensitive parcels, businesses get their fair share of visits from couriers. Package lockers help avoid the issue of packages getting lost behind a receptionist desk or folks not realizing their deliveries have arrived. Package lockers shouldn’t be limited to places with a ton of foot traffic or dozens of residents — single-family residences need package security, too! While not yet widely available at this time, keep your eye out for package lockers designed for single-family homes that have the same functionality as larger-scale versions. Small-scale package lockers offer a viable alternative to lockbox type containers or allowing couriers access to your home. 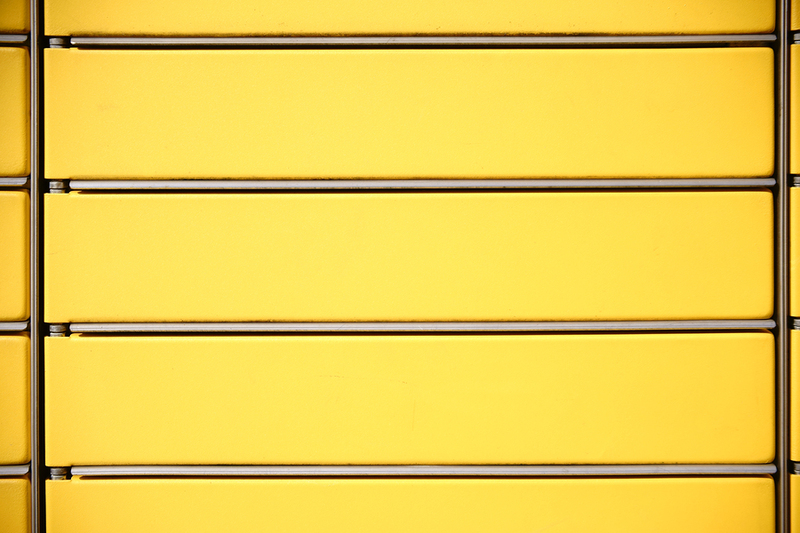 There are tons of benefits for couriers, property managers, retailers, and consumers who use package lockers, but automation, security, and convenience are some of the real standouts. Automation: Handling packages is a tedious process that takes up more time than most people realize. Using Smiota’s PoDs, package management systems becomes completely automated — and lightning fast. The delivery and pickup process takes about 13 seconds per package, and no one handles deliveries other than the courier and the recipient. 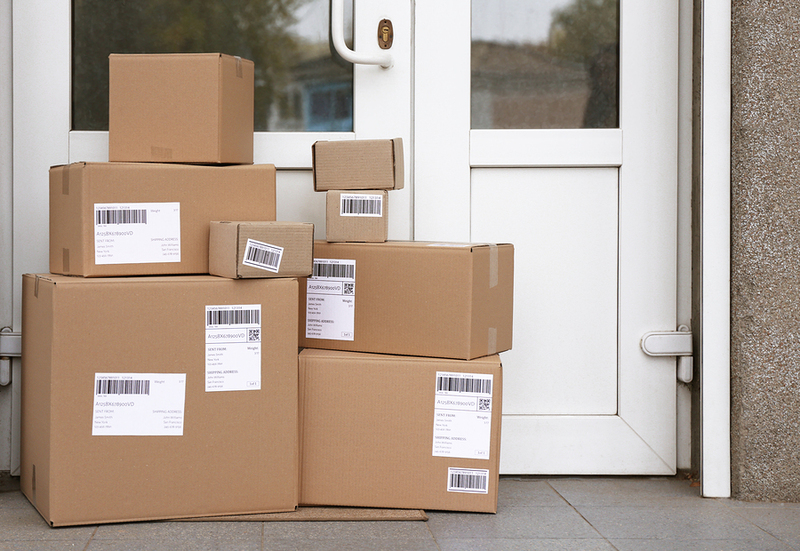 Additionally, package locker systems offer administrators valuable metrics about package deliveries, pickups, and abandoned packages. 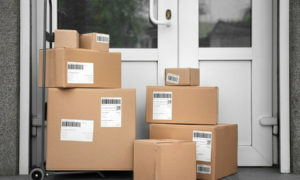 Security: Package theft is a massive issue in the United States, with one in three Americans reporting having had a package stolen. So while package locker software may have changed, manufacturers still consider package security a top priority. Units are built with sturdy materials designed to last, and their robust reporting and notification tools help track packages not just through the last mile, but all the way through the “last yard” of delivery. Convenience: Americans love modern conveniences, especially in an age where time is tight and schedules are atypical. Package lockers fit in perfectly with the convenience mentality. Time will tell how last-mile logistic pains are soothed, especially with drones, automated vehicles, and specialty services like Amazon Key becoming more prominent. But one thing is for sure — package lockers are a valuable, future-proof investment for anyone concerned with package security and delivery efficiency.